According to a new report Digital Signage Software Market (2017-2023), published by KBV Research, the Digital Signage Software Market is expected to attain a market size of $9.0 billion by 2023, growing at a CAGR of 10.6% during the forecast period. The North America market dominated the Global Digital Signage Software Market by Region in 2016, and would continue to be a dominant market till 2023; growing at a CAGR of 8.2 % during the forecast period. The Europe market is expected to witness a CAGR of 8.8% during (2017 - 2023). 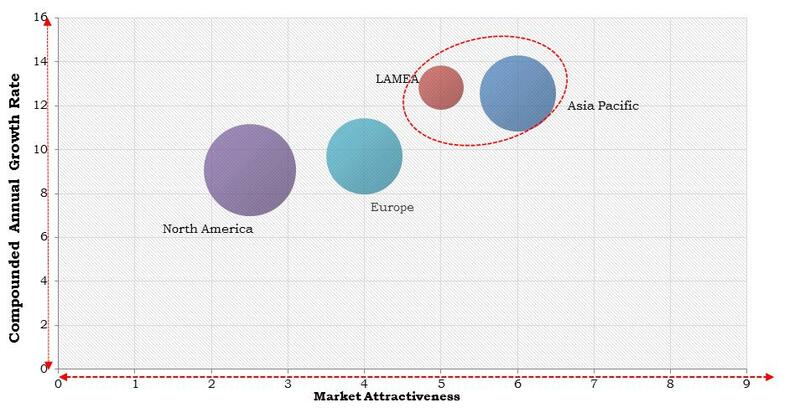 Additionally, The Asia Pacific market is expected to witness a CAGR of 11.6% during (2017 - 2023). The Corporate & Retail market dominated the Global Digital Signage Software Market by Vertical in 2016, and would continue to be a dominant market till 2023; growing at a CAGR of 9.7 % during the forecast period. The Healthcare market is expected to witness a CAGR of 10.1% during (2017 - 2023). Additionally, The Institutional market would garner market size of $1,318.8 million by 2023. The report has exhaustive quantitative insights providing a clear picture of the market potential in various segments across the globe with country wise analysis in each discussed region. The key influencing factors of the global Digital Signage Software Market have been discussed in the report along with the elaborated company profiles of Stratacache, Inc. (Scala Inc.), Signagelive, Broadsign International LLC, Omnivex Corporation, Leyard Optoelectronic Co. (Planar Systems Inc.), Mvix, Inc., Novisign Digital Signage Inc., Four Winds Interactive (Fwi), Rise Holdings Inc (Rise Vision), and Panasonic Corporation.